Mind Mapping for Kids: How Elementary School Students Can Use Mind Maps to Improve Reading Comprehension and Critical Thinking helps elementary school students develop higher-level thinking and improve their reading comprehension using mind maps and eight reading comprehension strategies. Part I of the book discusses the fundamentals of mind mapping for teachers and students. Part II demonstrates how to use mind maps and the eight reading comprehension strategies to help students develop higher-level thinking and better comprehend what they’re reading. Part III provides 20 examples of mind mapping uses in school and at home. 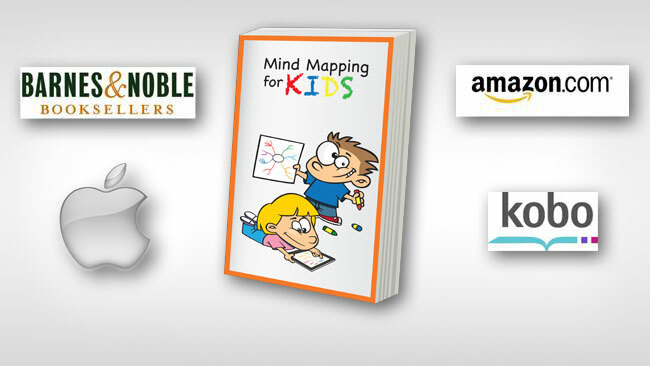 Includes over 50 mind maps created with over 10 different mind mapping programs. Features a full case study on reading comprehension. Presents mind map examples by various mind mappers. To facilitate classroom instruction, all mind maps and practice examples are also available for download. To help you get started with mind maps, each book also comes with a FREE 6-month trial of MindMeister. To get your free download code, e-mail me with your proof of book purchase and program preference. "Toni Krasnic has created an excellent argument for visual learning in the classroom, and has provided countless examples showing exactly how this learning strategy can be done by teachers and students. Thank you." "Much of what we do in education is text-based and linear even though research tells us people are visual learners: even though we know that many students struggle to learn in this type of "text-bound" environment. It takes a shift in thinking (and teaching) to move beyond linear text and lecture, to the use of visual learning techniques. Concept maps and mind maps are important visual learning tools that help students take ownership of their learning as they build understanding. Whether you are new to visual learning or a lifelong "mapper", you will find a plethora of ideas and resources in Toni's clear, concise book that balances theory and research with practical explanations and examples. Through text, images and, of course maps, he demonstrates how maps support higher order thinking skills, collaboration, organization and sharing. After reviewing concept and mind maps with a "getting started" section that provides examples and samples (don't skip the appendix! ), Toni explores an area near and dear to my heart, the use of instructional strategies and visual learning to improve thinking and learning. Bringing together eight research-based reading strategies, the Concise Reading Method and mind maps, this section gives educators an excellent blueprint to improve reading comprehension. Each strategy is explained visually with a guiding questions map, additional resources on-line, a case study and a “Map It” template on-line. Built into all these activities is one of my favourite sites "Into the Book". It's just icing on the cake. Dive in! Finally, Toni provides examples of mind maps to show you possibilities, sharing a variety of map styles, software programs, and applications to use. There are over a dozen examples to choose from - pick one, access the template from Toni's website and then create your own map, on your own or better yet…with your students or child." Give mind maps a try. They can be used independently or in conjunction with other literacy instruction programs. Either way, they will bring fun and excitement to the classroom while simultaneously improving thinking and learning.